My thanks to the judges of the 24th Annual Writer’s Digest Self-Published Book Awards competition for their thoughtful analyses of my books, Get the Picture?! 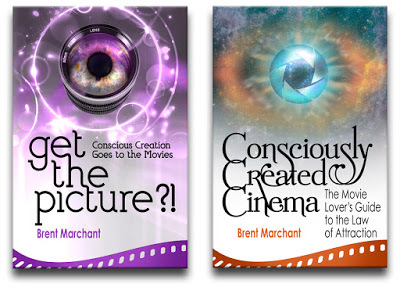 : Conscious Creation Goes to the Movies and Consciously Created Cinema: The Movie Lover’s Guide to the Law of Attraction, both of which I entered in the contest. Their kind words and generous support of my work are truly appreciated, and I wanted to share their insights with the readers of this blog. Both books were entered in the Inspirational category and were judged on the following criteria: Structure, Organization, and Pacing; Spelling, Punctuation, and Grammar; Production Quality and Cover Design; and Voice and Writing Style. Each area of evaluation was graded on a scale of 1 to 5, with 1 meaning “needs improvement” and 5 meaning “outstanding.” And I’m pleased to announce that both books scored 5 across the board. “GET THE PICTURE?! 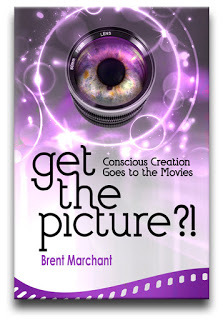 CONSCIOUS CREATION GOES TO THE MOVIES by Brent Marchant is a superb book that amazingly combines two disparate topics: movies and metaphysics, for an excellent read. 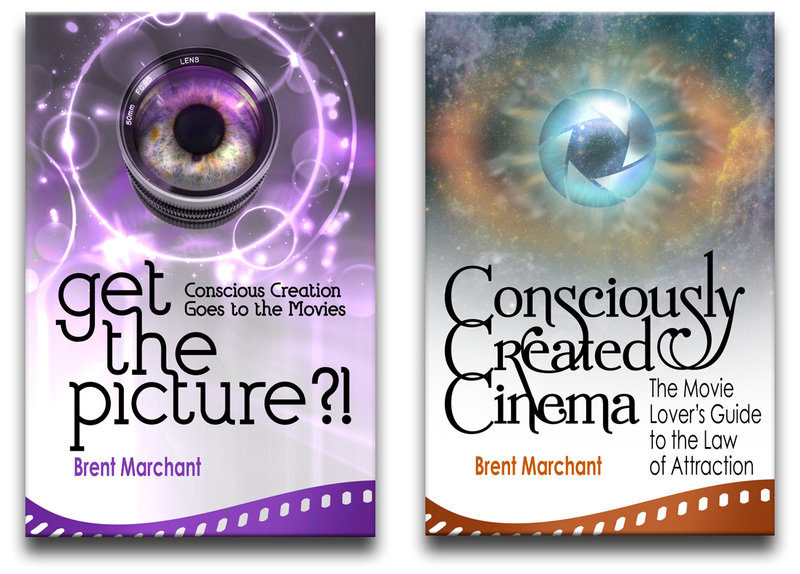 This book will especially appeal to students of metaphysics, and will enlighten and entertain movie aficionados as well. “Interesting that the title uses an interrobang sentence. I’m sure that will get attention! The cover is well done. I like the colors, and the eye in the lens. Very creative. The back cover copy is well done and tells what the reader can expect. The author photo is nice, and the information on the author is wonderful. I like how the author gives his readers several ways to contact him on the Internet. In this age when readers want to stay in touch with their favorite authors, this is a great marketing tool. 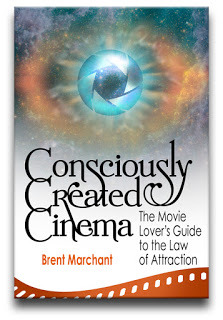 “CONSCIOUSLY CREATED CINEMA: THE MOVIE LOVER’S GUIDE TO THE LAW OF ATTRACTION by Brent Marchant is an excellent book for those who want to see the deeper meaning behind many popular movies. 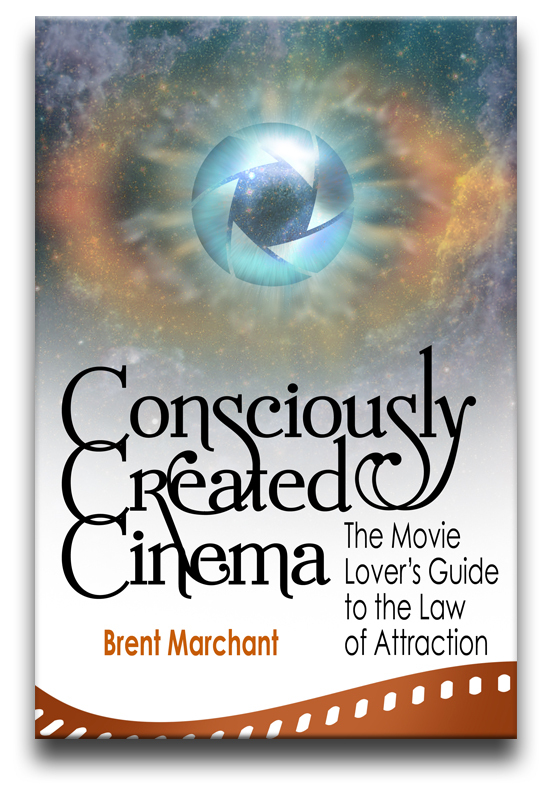 A fascinating book for cinema lovers and those who want to know more about the Law of Attraction. “The cover is amazing. Very creative. I like the colors and how the eye’s pupil is a camera lens. The back cover copy is excellent. The blurb tells the reader the book’s purpose. The author photo is great, and the author biography tells the reader why Brent Marchant is uniquely qualified to write this book. I like that he also shares where to find him online, and even his email address. I hope he doesn’t get too overwhelmed by his IN box! “Inside, page after page of endorsements really are impressive. I like that the chapters are well laid out, showing the reader which movies are being covered. The reader can choose to read the book in sequence, by the movie, or by the subject such as “Perspective” and “Change.” I thought the entry on “The Social Network” under The Power of Belief was especially good. This is a great book to present as a gift to the movie lover. The unique and thoughtful perspective will be appreciated. It’s always gratifying to hear such positive feedback about one’s work. I hope my readers share the judges’ opinion. If you would like to find out, you can learn more about these titles by clicking here and here. Happy reading!